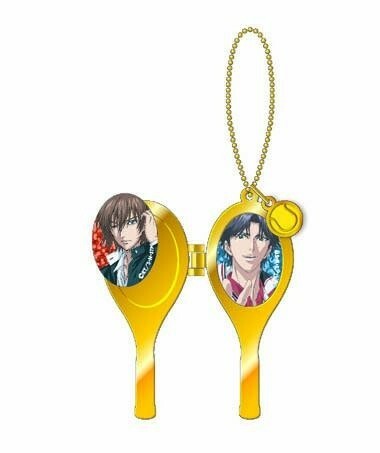 Well they're coming out with three ShinPuri ones. Made of really nice zinc alloy, very high quality, size 1.25"x2.5" (2.8x6.3cm), with a tennis ball made of iron. 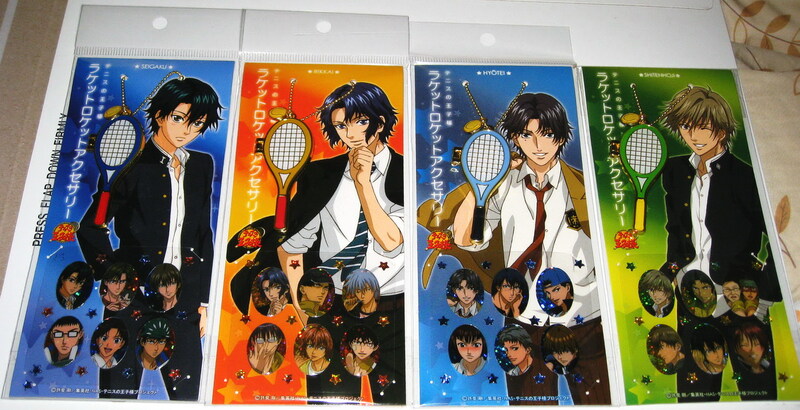 There are six opalescent sparkle group stickers and some other sparkly stuff with each racket locket. The stickers are made of plastic resin so they're raised, not flat!!! 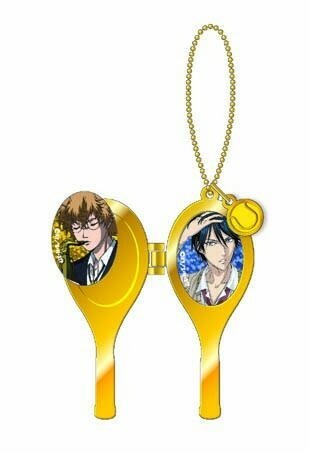 They are being released in March, so I will receive them in April if anyone is interested. These can be ordered individually so there's no limit on how many. I do have to put in the order early to be guaranteed availability. Let me know if you want any, and which group you want!! Okay! 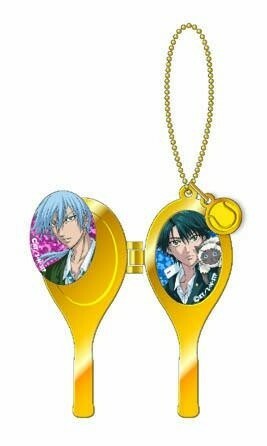 I will order a Makegumi for you, it'll be around $17 like my other team lockets from before, is that okay with you? Hai ^^ It's okay !